One of the questions that I am asked fairly often is the difference between Divine Astrology and other Astrology types and why the houses line up differently. Most Astrology is based on Sidereal/Star time, Divine Astrology is based on Tropical/Solar time. Due to this, the locations of the houses are off by one house and one sign from each other. There are proponents of both systems, and the results, in my opinion, are more accurate for Divine Astrology. Since our daily lives are based on a Solar day, Sidereal (pronounced sigh-deer-ee-ul) seems foreign, but the description is fairly easy. Sidereal Time is literally “Star” time. Our daily lives are based on a Solar day, which is a rotation of the Earth, as well as the movement of the Earth during its revolution of the Sun. Because the Earth has moved about 1.5 million miles further along its orbit of the Sun each day, it takes another 4 minutes for the same spot on the Earth to rotate a little further along its axis and point to the center of the Sun each day. 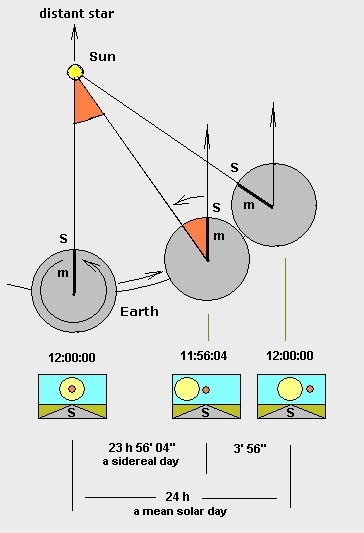 A Sidereal day references other stars much further away than our Sun and therefore does not take into account the revolution of the Earth around the Sun, therefore the additional 4 minutes needed to point back at the Sun is not required in a Sidereal day. Eclipses affect all of us in different ways and on many levels. It affects each and every one of us individually and then we broaden that scope out globally. Nothing and no one is immune from this natural phenomenon. Each of us has a Birth Chart also known as a Natal Chart. The concept is to look at the Birth Chart and determine how the eclipses will affect you and to what areas of your life it will affect. A Lunar (Moon) and Solar (Sun) Eclipse represents that in which is hidden and then revealed. The hidden can be on a subconscious level, where those are not quite ready to feel, see or hear something. Another method of hiding or hidden is by the actions of others. This is directed at those who choose to withhold from you or the public, such as important government information. We all must be careful in this revealing process, because it may come in various forms. The reveal can be through people, places, things, events circumstances or synchronicity. This includes our night dreams. Therefore, we must be paying attention. We can be proactive participants in this process too. Each one of us can call upon the Universe or the Divine to help show us what needs to be seen, heard and revealed. Eclipses offer endings and beginnings as well as letting go of old habits only to be replaced with healthier ones. Some things must be let go of for new things to emerge. Some people may change jobs, have new business partners or a new career all together. On a business level, companies may need to update and modernize their technology. For others they might sell their current home and move to a new location. Things that are revealed are not always on a grand scale. It can range from small to very large pieces of information. Sometimes we simply need to let go of old habits. Time to rid of outdated thinking. “You can run, but not hide” as the old saying goes. All things are revealed in time. In closing, to know what influence is occurring during an Eclipse is to determine what zodiac sign the eclipse is occurring (i.e. is it in the sign of Taurus?). Then determine if it is a Lunar or Solar eclipse. From there, you would look at your Birth Chart to see what area of your life that is affecting. Taurus = money, banks, real estate, material possessions, finer things of life such as wines, music and day spa/resorts. 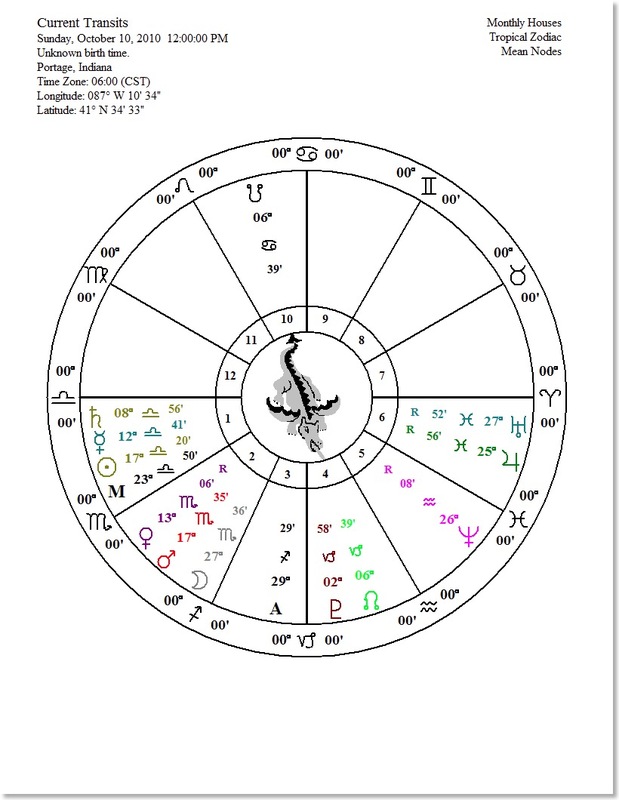 Birth Chart of someone born in February: This will touch their 4th house of home, foundation and family (mother). Confused on your Zodiac sign? Our ancient ancestors did not have watches, computers or modern equipment to compile copious amounts of data (ephemeris) to sit and study. What they did have at the time was the stars and luminaries above. When looking to the heavens above, they viewed these patterns. We refer to these patterns or symbols as the Zodiac. The ancients determined the prominent zodiac symbol seen in the sky was the prominent sign for that given full month. Example, the entire month of January is the sign of the Goat. This is Capricorn. Regardless of the day, the whole month is Capricorn. Therefore if one is born January 30th, they would then go read Capricorn’s horoscope in the newspaper. Yes, their sun sign is still Aquarius, but their astrological natal birth chart begins from birth month. In addition, every person’s natal birth chart has 12 specific houses or departments, as there are 12 corresponding zodiac signs. For each department, it relates to certain important aspects of an individuals life. i.e. 10th house or department represents their career and public standing. Here is an additional reason to read horoscopes based on birth month. 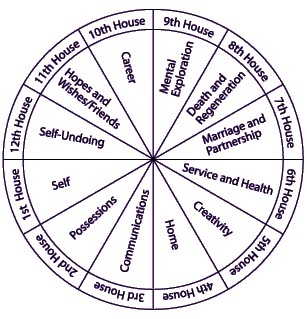 If you look at a natal birth chart that has 12 departments, also known as houses and we now know the very first house is our birth month, we input that month in house number 1. House number 2 becomes the next month in the zodiac. Example: Born January 30th, 2011 - Aquarian. If the Moon is in Aquarius that given day, look above to this example and determine what house it is affecting. Yes, it will affect that person’s second house of Aquarius not first house. It is easier to say about this person’s date of birth as they are born in the constellation of Capricorn (January) and their Sun Sign is Aquarius (February). It is important for me to share that astrology work is not Psychic work. It is merely interpreting the stars or the language of the stars. This is no different from having a language interpreter. There are some Astrology workers however; that is able to sense or pick up on different subtle messages or intuitions while doing an astrological reading. Some of the key elements to observe or look for while doing astrology readings or forecasting are themes, patterns, rhythms and cycles. For example in Divine Astrology - approximately every 1.5 years, there is a major change of the Dragon’s Head and Dragon’s Tail. This means that the North Node of the Moon (Dragon’s Head) is now entering a brand new set of zodiac signs . i.e. Dragon’s Head in Capricorn and the Dragon’s Tail (South Node of the Moon) in Cancer. Therefore, to make one full complete cycle of the dragon’s head and tail in these same zodiac signs mentioned takes a full 18 years to get back to it. There are other very important cycles in human evolution and growth. These cycles are done with certain age ranges. It takes Uranus approximately 84 years to make a complete rotation around the sun. This is equivalent to one human life cycle. One way I help translate cycles, patterns and themes is by analogies. One analogy is our school system. Most of us begin at a level (cycle) of elementary school. Then, we are moved up to Jr. High. We are still learning and in school but in a new cycle at a different level. This moves forward into high school and ultimately college. The learning is just at a higher level with more experiences now in play. So, with Astrology we can go back in time to see if history is repeating itself. To some extent we can say yes, but it may be at a different level and circumstances, i.e. going through recessions or a the great depression in our economic system. Conversely, we can look ahead to see if a pattern may repeat itself. If we can do this, the question is can we course correct it in some way? Can we use our power of choice and will to help avoid major catastrophes or events that may not be to the greater good of the world or mankind? As we approach the dates mentioned above, we will have the Moon, Mars and Venus all in the sign of Scorpio. At the same time there will be Saturn, Mercury and the Sun in the sign of Libra. Libra rules the areas of justice, man-made and universal laws, laws of opposites and also balance and harmony. These combinations of dates, planets and zodiac signs can produce multiple events, circumstances and situations. By merely looking at the keywords mentioned in the list above, can you see how this is possible? To the greater good of mankind is how we all can utilize our choice and will to direct any of these energies (key words). Just think of the Titanic that was discovered in the depths of our waters many years ago. Hidden treasures found that could help explain so many historical questions. These are the good qualities of Scorpio and Moon in Scorpio. Scorpio’s counter energy played out recently when we had a scandal of a few Russian spies who were caught, investigated and sent back to Russia. It is good to stay alert and aware of your surroundings during this time frame. Think of the energies and principles of these keywords of planets and zodiac signs as if you are receiving a weather forecast. Being prepared of the weather elements for the day is basically no different from having an astrology forecast. I want to thank all of you for your love, prayers and support on my journey to healing. This goes to show just how we are all so Universally connected. Even those people we may never have a chance to meet in person, but bring such special meaning into your life. This is one of my personal stories and I am so humbled to share it with you all. Whether it is Astral, Universal or Cosmological in nature, we are all connected. Sometimes I feel we can be even more connected to those we have never met in person; but through other means such as the information super highway. As an Astrologer I have been blessed to do many readings for those in person and those whom I never met in person. I remember doing a reading for Bob in 2000 and I knew he was a special and gifted one. Just by looking at his stars I knew he had many special gifts that were handed to him by the Universe. I translated those astrological gifts to him. I knew he had potential for healing others through various means. What I did not know was exactly how that would be; i.e. as a Shaman, Massage Therapy, Reiki or what. One day soon after Bob's astrological reading, he opened up and started sharing his Orb pictures with me. My first intuition was that he had some type of portal on his property and I shared that with him. Since that day, we have been in internet contact and perhaps Astral contact since then. I say that because last year I was diagnosed with Breast Cancer. Scared out of my mind, I had decided to go to the most powerful healers that I knew. Bob was one of those special and dear ones. There were many of nights before going to sleep I would say my prayers and do some rituals that Bob and my loved ones had shared with me. There were a handful of those nights that I was actually dreaming, but it was Bob that was in my dreams and bringing healing spirit breath to my body. I had never had that experience before. That was my first indication that Bob had a gift of remote healing. I remember one morning leaping out of bed, only to email him and tell him of my experience. I had a few more of those. I was not surprised to hear his response saying he was in meditation and prayer for me at the time of my dreaming. I have had a few of these experiences with Bob. I often wonder if his ORB's assist him with these healing energy properties, or his stars? Whatever he has, I am thrilled to report that I am Cancer free and happy as can be. All my tests are and will continue to be normal. Bright Humble Blessings And In Gratitude To You Bob.